Fostering development of innovative solutions to Alaska’s energy challenges through applied energy research at the University of Alaska Fairbanks. 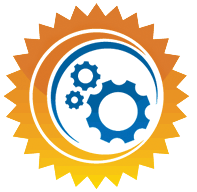 The Alaska Center for Energy and Power (ACEP) is an applied energy research program based at the University of Alaska Fairbanks. ACEP provides leadership in developing energy systems for islanded, non-integrated electric grids and their associated oil-based heating systems. Integration is a central feature of our program. Because many of the issues related to implementing innovative energy solutions are complex, our program must not only address the technical integration of renewables with these small isolated diesel-based energy systems, but must also look at integration from a broader perspective: integration of solutions into the social realities of a community, integration of the cultural fabric into sustainable energy solutions, integration of university researchers across disciplines and with community partners; and integration of our facilities and resources with those of our national partners. Develop and disseminate practical, cost-effective, and innovative energy solutions for Alaska and beyond. Alaska leading the way in innovative production, distribution, and management of energy. 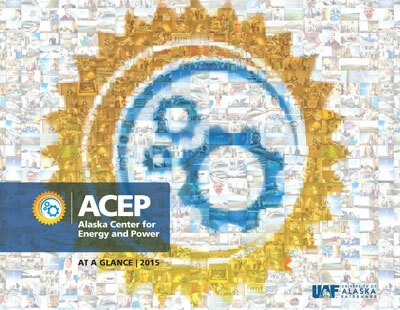 ACEP is a gateway for energy related activity at the University of Alaska Fairbanks. Working across campuses and pulling from the University’s extensive resources and expertise, ACEP is interdisciplinary, needs-driven, and agile. ACEP has also developed a wide range of partnerships outside the University at the local, state, national and international level to ensure research conducted through ACEP will be relevant, current and world class.